Found this yummy Suede Convertible Boot by Colin Stuart at Victoria’s Secret. Get 3 different looks – cuffed, scrunched (my fav! 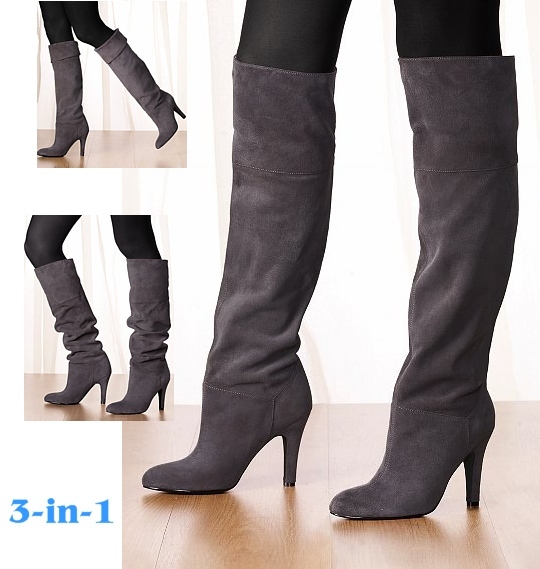 ), or over-the-knee in just one boot! Available in Grey Fox (shown in pics), black, chocolate. Yours for $149.